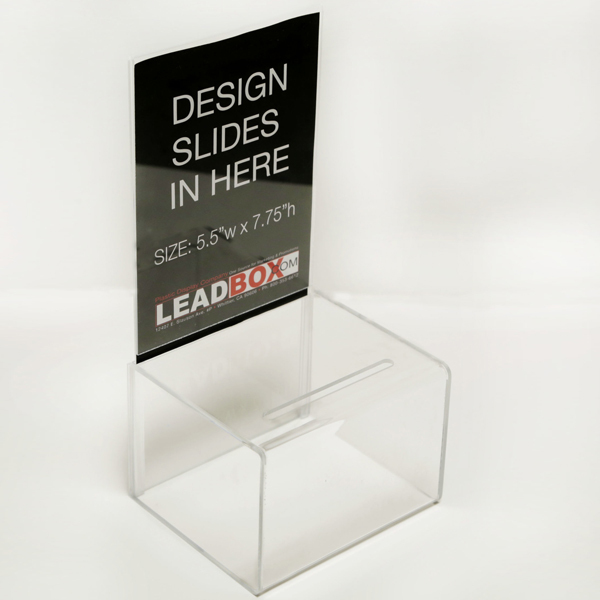 VERY, HIGH QUALITY- Inexpensive Suggestion Box (Clear) is made with acrylic plastic. 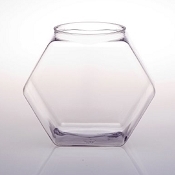 Sleek design with 2 colors to choose from: Clear or Black. 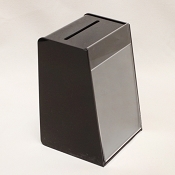 This donation box combines the best of everything: perfect size for any counter top, high quality and attractive and affordable. This box is a true workhorse and will suit just about any needs, whether they are collecting leads, collecting donations or tips, sales leads and of course comments or suggestions. 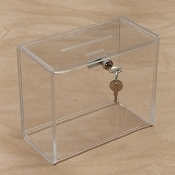 We can even add a lock and/or business card pocket to this entry box. Great for collecting donations at fundraisers, charity events, etc. Collection boxes are one of the easiest and fastest ways to raise money for your cause. Donation box has a clear header to slide your artwork. Well sized making it easier to place into establishments. Excellent economic choice for donation, charity collection, or leads. Pen, pad, artwork are sold separately.